Greenwich, CT is a geographic area covering approximately 50 square miles with approximately 20,000 households and a population of 60,000. There are four main neighborhood sections: Greenwich Proper, Cos Cob, Riverside and Old Greenwich. 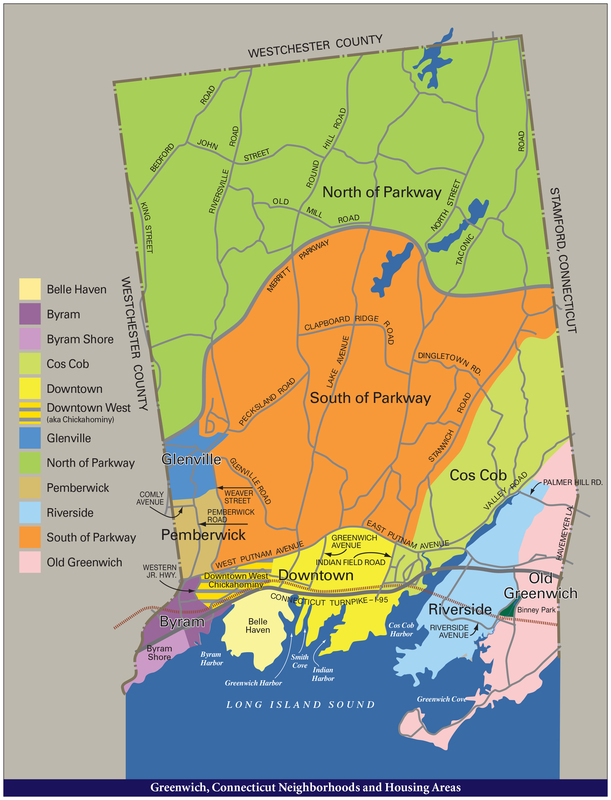 Greenwich Proper features several neighborhood areas within the region that include: Back-Country, Belle Haven, Byram and Byram Shore, Downtown Greenwich, Glenville, Pemberwick, and Mid-Country. For additional information about the Greenwich neighborhood, contact me.